Best Themes for Windows 8 & 8.1 – We all know that Microsoft is completely shifted to the app based Windows interface, and it starts with 8 and 8.1 Windows. This is a flat user interface also known as UI, is so powerful and very easy to use because it is a tile-based user interface that runs on Apps. So for all Windows 8 and Windows 8.1 users, we are going to share insanely popular themes for windows 8 free download 2018 and themes for windows 8.1 64 bit free download and 32 bit also. If you are looking for windows 8 themes free download full version from very long time than this post will fulfill your demand today. All windows 8 themes free download full version are professional looking, so let’s begin the list of windows 8.1 themes free download for laptop 64 bit and 32 bit based Windows. Windows 8 and Windows 8.1 has many interesting themes developed by many third-party developers to make your windows look perfect. You will never be bored with the super collection of Windows 8 and Windows 8.1 themes. 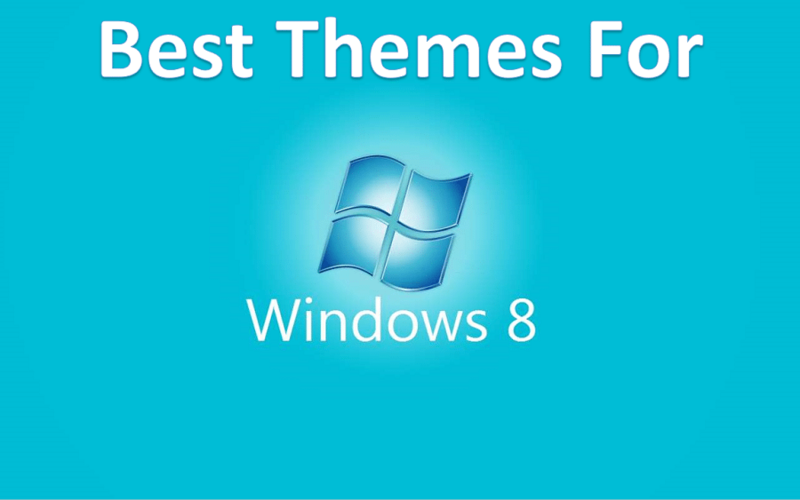 So let’s get started and explore the best themes for windows 8 & windows 8.1. It is one of the most popular windows 8.1 dark themes that are loved by all dark theme lovers. It is specially designed for gamers, hackers, geeks and all techy people who use Windows 8 or 8.1. If you miss your Windows 7 user interface than Aero Glow 8.1 will give your windows 7 back with this theme. Install Aero Glow 8.1 and it will change your Windows 8 completely into much better-looking windows 7. It is very simple and easy to use theme that comes with Ubuntu based user interface, Bel Minimal is one of the cleanest themes that is usually used by artists. This theme will expand your tiles based user interface and with the elegant theme, you can enjoy both Windows 7 and Windows 8 at a good mixture of Windows operating system user interface. This theme is lookalike Clipart but very popular among all 8.1 users, because Gray 8.1 is a simple and fast theme for windows 8.1 users. The icons, visual appearances are pretty well designed and they look much better than the official user interface. The naumn theme is quite matching with Bel Minimal, Nauman is also a quite simple theme. It comes with the taskbar on the upside that looks very interesting and handy to users. The rest you will get all windows 8/8.1 interface. If you want to download windows 8.1/8 theme that looks like Apple user interface than Tequila Port is the theme to download for you. It has some handy shortcut icons added in the Windows that increase your productivity. So these are some of our favorite Windows 8/8.1 themes which you can download them for free of cost and enjoy new looking windows 8.1 and Windows 8 based PCs. If you like this post then do share it with your friends and if you want to have more options than bookmark this post because we will update in upcoming days with more good looking themes for windows operating system.